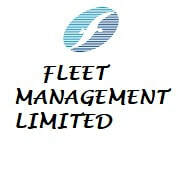 FLEET MANAGEMENT SERVICES PHILIPPINES, INC.
Fleet Management Limited is one of the world's largest independent third-party ship management firms with a 24-year history, over 20,000 qualified seafarers and over 450 vessels under management. Fleet Management manages a range of vessels including bulk carriers, container vessels, general cargo carriers, oil tankers, gas carriers, and chemical tankers, ranging from 300 to 319,000 DWT - with many being young and energy-efficient with an age profile below the industry average. For the last 24 years, Fleet Management has pioneered many of the crewing, safety, and technical standards that have become benchmarks in the industry. We understand that to be one of the world's best ship management companies, we need to be continually innovating to stay ahead of the curve. That is why we continue to invest in technology - and today, through our proprietary PARIS software, we are able to provide ship owners with an online real-time dashboard showing every facet of the vessel's profitability - an accomplishment we believe no other ship manager has achieved thus far.